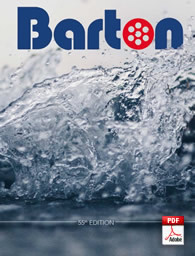 2009 News From Barton Marine .. Here is slightly off the wall story, or off the ceiling in this case! 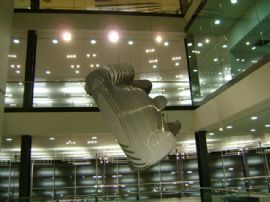 Premier Audi dealership, West London Audi has used our blocks for a stunning piece of automotive sculpture it recently commissioned. Laying up for most of us involves emptying the galley and bedding, unbending sails, removing fenders and life rings and possibly winterising the engine, but how many of you give a second thought to your blocks and deck hardware? The upcoming METS trade show in Amsterdam is the most important date in our boat show calendar. Running from November 17th to 19th, the show gives us a chance to sit down with current and new distributors to discuss business and possible promotions for the new season. 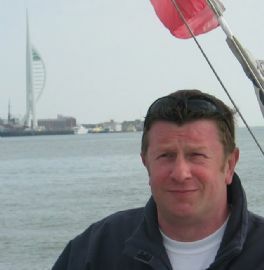 Barton Marine's very own Operations Director, Paul Botterill, has been announced as the new Chairman for British Sailing. Barton Marine's Sales Manager Christian Brewer recently visited the Annapolis Sail Boat Show, supporting our Barton USA marketing team, Ocean Marketing. 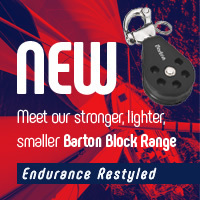 We are extremely excited and proud of the latest addition to the already successful Size 0 range of blocks. 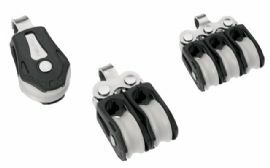 Designers John Foord and Paul Botterill have overcome the difficulties of swivel post design to make Barton one of the only manufacturers in the world to offer a complete range of swivelling single, double and triple blocks with cams (which you can see in our photo!). 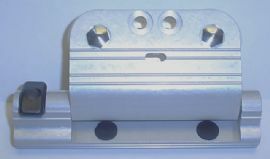 Our ever popular dinghy mast support is now back in full production and we are pleased to announce that they are still being manufactured here in the UK. 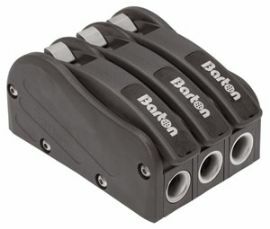 Barton's range of size ‘0' blocks has been extremely well received by both the trade and public due to their great value for money, exceptional strength for their small size and also their good looks! If you have been watching the ‘Dave' Channel on TV recently, you can't have failed to have noticed the latest Cadburys Boost bar advert, which features a far from humble Barton block in action. 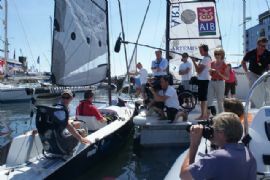 X ONE DESIGN CAPTIAN’S CUP AT COWES WEEK – VICTORIOUS AGAIN! Sailing legend Stuart Jardine, sailing ‘Lone Star' , has notched up his 8th Captain's Cup win in the X One Design class at Cowes Week earlier this month, a record for the class celebrating its 98th year of racing. 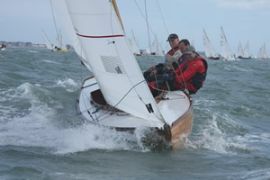 The British ‘Joystick' team returned last month from the J/80 World Championships having finished a hugely successful 13th out of 132 teams, the highest ranked visiting yacht at the championship. We are always looking for some great photos of Barton gear in action to use in our publications and on the web site, so here is a chance for all you Barton equipment owners to win a brilliant selection of Barton equipment worth £100! 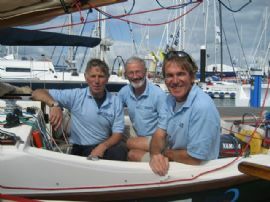 MARINE INDUSTRY REGATTA 2009 – TEAM BARTON/NAVIMO VICTORIOUS! 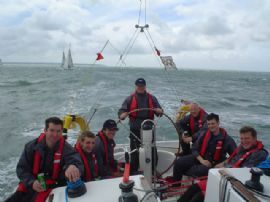 We are delighted to announce that Barton Marine's joint team with distributor Navimo were the victors in this year's 5th Marine Industry Sailing Regatta, which was held in the Solent on 15th July. 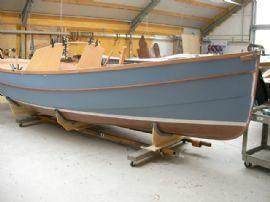 Over the winter, Olympic septuagenarians and avid users of Barton Marine's sailing hardware, Stuart and Adrian Jardine have been helping build a new X One Design at Steve Etheridge's yard in Lymington. 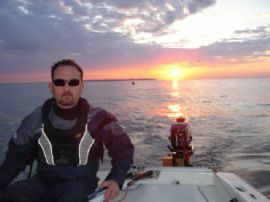 You may recall we have been following the adventures of Mike Brooke in his Round Britain challenge to raise funds and awareness for Leber’s Congenital Amaurosis (LCA), a rare eye disease. 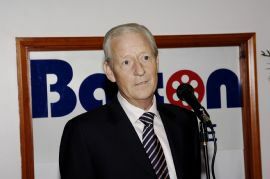 Barton Marine Managing Director, David Coleman, has recently stepped down as chairman of the British Marine Federation International development committee after 20 years service, David Barrow takes over as his successor in this important position. 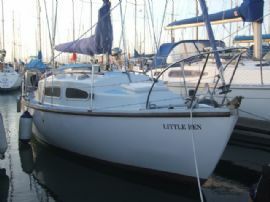 Guy Hilton has been busy over the winter preparing his Dufour 39cc in Swale Marina for summer cruising this year. 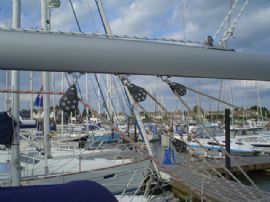 Work has included an engine overhaul and fitment of a new boom to suit his in mast furling system. We have been assisting Nick Stanton at Vizual Marine to perfect the adjustable seating arrangement on their stunning new Artemis 20 keelboat. 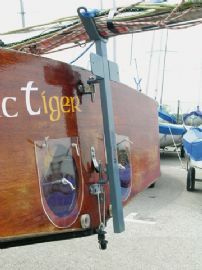 The design overcomes all disabilities by offering special canted seating fitted to modified Barton 20mm T track sliders and track, so that able bodied and disabled sailors can compete against each other on equal terms. 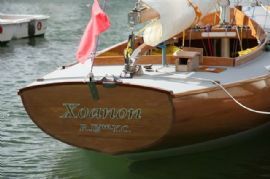 Picture a beautiful traditional day boat in your mind, then look up Swallow Boats on their website www.swallowboats.co.uk, same image? These gorgeous designs are built along the shores of the Teifi estuary in West Wales and owe their styling to traditional craft of the area, but are constructed using the most up to date methods. 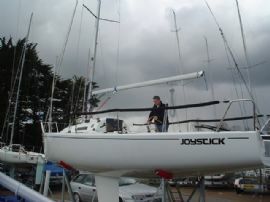 We have been following the successes of the ‘Joystick’ team with keen interest over the last couple of months. 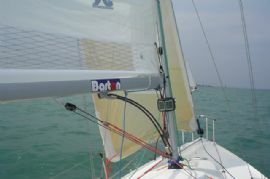 Rob Larke and Victoria Gregory’s J/80 features a specially modified Barton Boomstrut for added mainsail control. 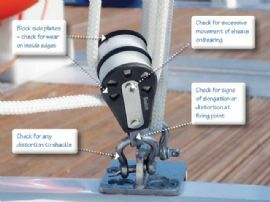 Like most sailors I know, you most probably have not checked the condition of your blocks and rope clutches systems over the winter. It's definitely worth doing before you set of on any extended cruises this summer. 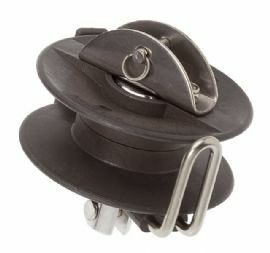 We are pleased to announce Svama Nautica as our new exclusive distributor in Italy. 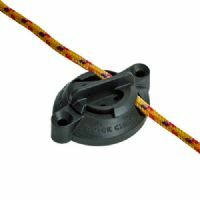 Established in 1952, the company has a long history of serving the Italian marine market and represents a number of top marine brands in Italy to include Tacktick and Teleflex Marine. It seems you cannot keep a good name down especially when it is a British institution synonymous with the UK cruising market. 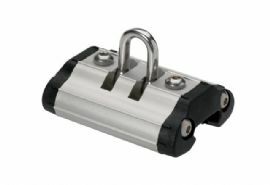 For those of you that don’t already know, Barton Marine offers its customers a specialist track bending service for its range of ’I’ section and ball bearing tracks. 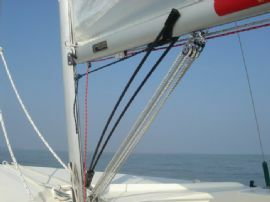 Barton Marine manufactures a really neat, simple and strong jib furler unit for both dinghies and dayboats up to a maximum sail area of 10sq m.
Barton Marine was recently approached by German distributor Robert Lindemann KG to produce a specially modified T Track car for a leading Austrian sun awning company. 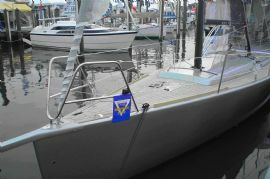 In previous new stories, we have reported on the upcoming campaign of Rob Larke and Victoria Gregory's J/80. 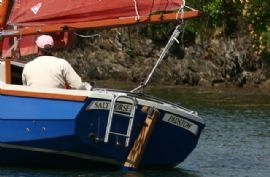 With increasing globalisation of world markets, it's good to know that Barton Marine manufactures all of its marine hardware in the UK and still retains its competitive edge. 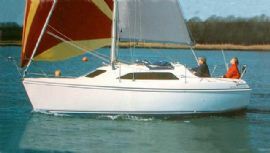 Plymouth Yachtsman Jim Gregory contacted us recently as he had found a super little Robert Ives sloop for sale at Network Yacht Brokers in Poole, but there was a problem with the gooseneck fitting. 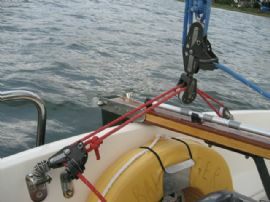 On investigation, it turns out that she had been fitted with a Barton mainsail roller furling gear from new. We are pleased to report that Cornish Crabbers has taken over the building of the Crabber range along with the Mystery 35 and Link 30. Barton has enjoyed a long and close association with these classic designs and we are delighted that their future has now been secured. 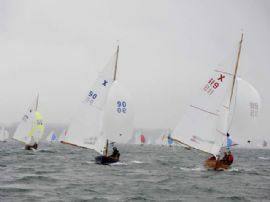 Barton Marine has been working closely with top J/80 team ‘Joystick', helping them to prepare for a busy campaign season, which kicked off this month with the Warsash Spring series in the Solent. 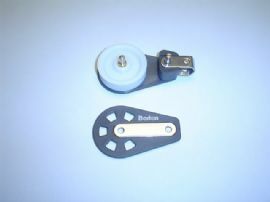 How many of you forgot to service your Barton winches this winter? Or maybe thought the prospect too daunting? 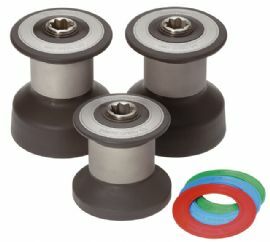 The beauty of the Barton range of winches is that they are really easy to disassemble and clean, essential for a longer working life. 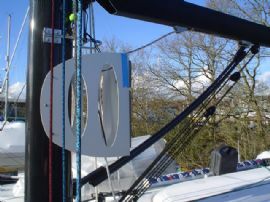 The new Barton Mainsheet Traveller system has been fitted to Stuart Jardine's Cowes Week & Captain's Cup winning ‘X' One Design ‘Lonestar'. 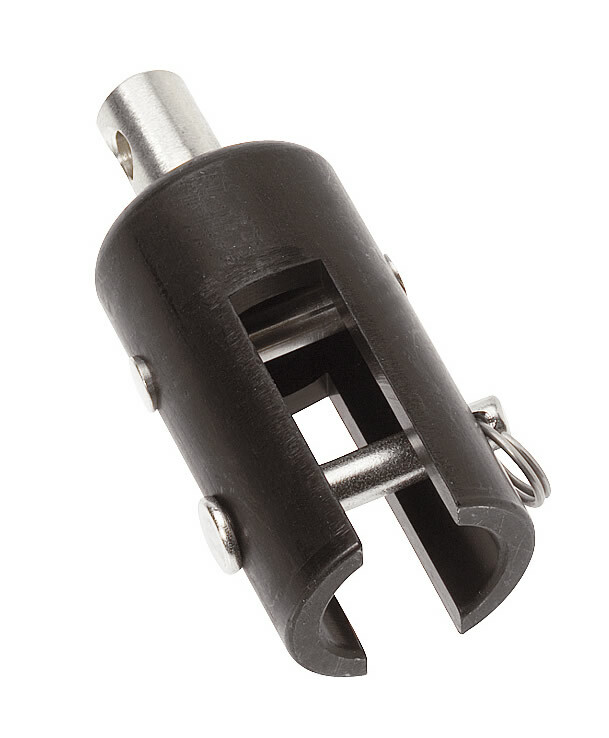 Barton Marine, one of the world's leading manufacturers of sail control hardware has designed a special range of blocks and cleats specifically for a unique and innovative new catamaran. 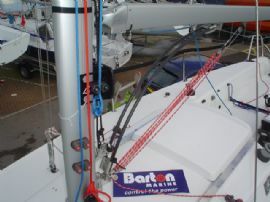 One of the UK's leading manufacturers of sail control hardware, Barton Marine, has introduced the Barton Dinghy Boomstrut. 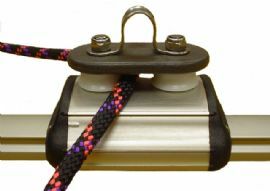 Designed to support the boom on most types of sailing dinghies, the new Dinghy Boomstrut has a unique flexing action that responds to the movement of the boom and provides constant support to prevent the boom from falling onto the deck. 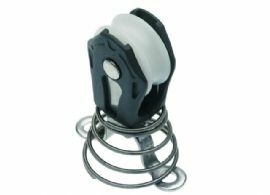 One of the world's leading manufacturers of deck hardware, Barton Marine has introduced a new Dinghy Traveller System for dinghies and day boats. 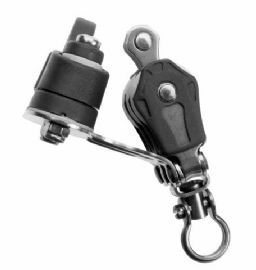 The new system is available in two types, 'D' shackle and Toggle, each providing exceptional control and a holding power up to 130 kg. 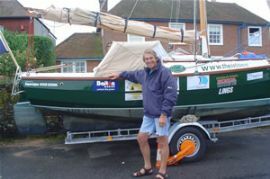 Barton Marine sponsored British yachtsman Mike Brooke OBE has completed a twelve week sail around Britain to raise vital funds for research into Leber's Congenital Amaurosis (LCA), a rare genetic condition of the retina. 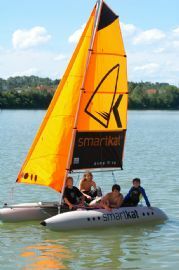 The legendary ClamSealT continues to prove itself as an effective repair and safety device that is ideally suited for RIBs, inflatables and liferafts. 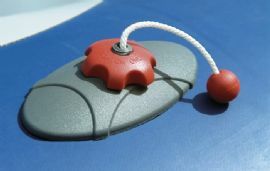 The glue-less repair system is now included in safety kits onboard the Ocean ISO liferaft range from Ocean Safety, one of the world's leading suppliers of marine safety equipment. 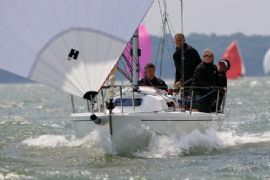 Congratulations to Barton's Sales Manager, Christian Brewer, who crewed on the winning yacht in the X One Design class at the recent Skandia Cowes Week, one of the UK's longest running sporting events. 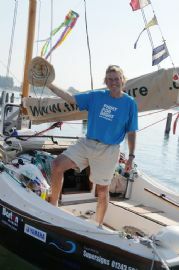 This summer, British yachtsman, Mike Brooke will be sailing around Britain on board his Barton equipped 19ft cape Cutter, ‘Theo's Future', named after his godson, Theo who was diagnosed with a rare genetic condition of the retina called Leber's Congenital Amaurosis (LCA). 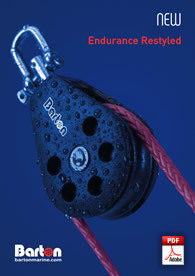 Barton Marine extends its DO 550 clutch range with the introduction of its new double and triple line clutches. 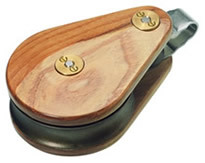 Following the first UK viewing of the single line DO 550 clutch at the 2008 Collins Stewart London Boat Show, the two recent additions complete Barton's new range of clutches for cruising and racing yachts.